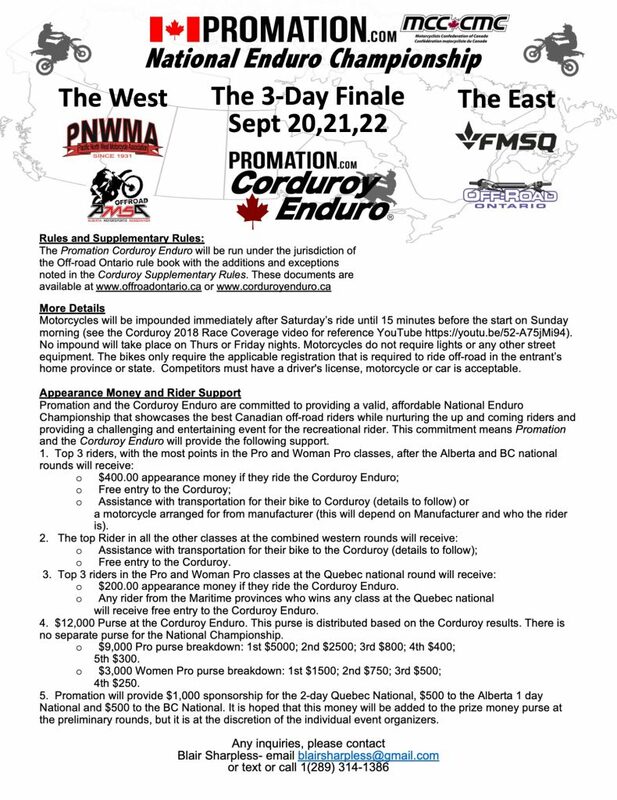 The Corduroy Enduro® …Canada’s Toughest Race!! 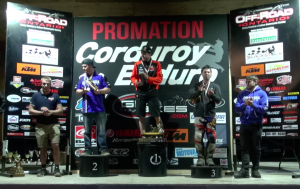 Congratulations to Philippe Chainé on his overall win at the 2018 Promation Corduroy Enduro ® – Presented by GP Bikes! 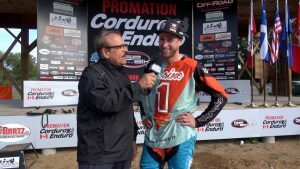 28 year old Philippe Chaine, from Chesterville, Quebec – the Overall Winner of the two day Promation National Corduroy Enduro in Gooderham, Ontario. 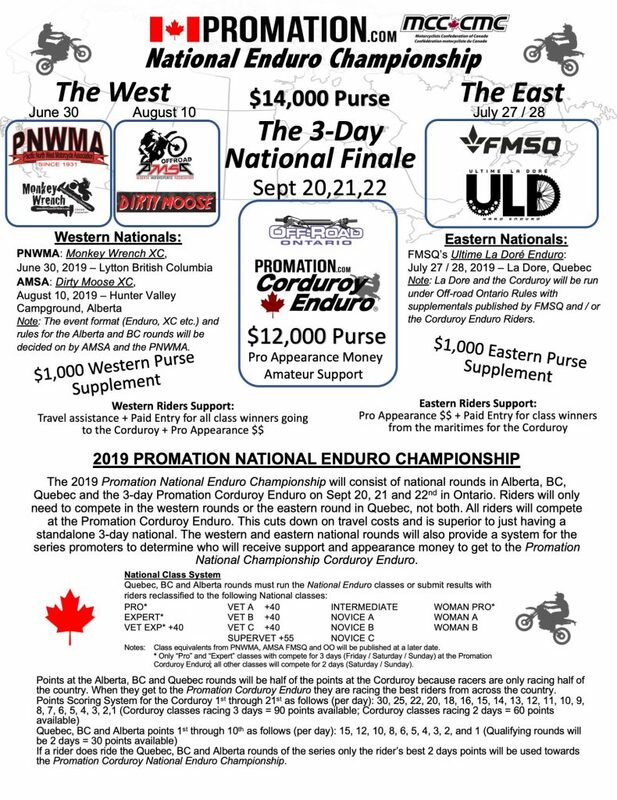 On Saturday and Sunday September 22 and 23, 2018 we saw the 64th running of the Corduroy Enduro featuring some of the classics like the Tunnel of Love, Green’s Mountain, the Burnt River Crossing, Sedgewicks Gravel Pit, the Beer Pit, and an exciting Pro’s only Endurocross. New for 2018, was a challenging Waterfall Test and a new Devils Staircase, aptly named after that famous test section of years ago. 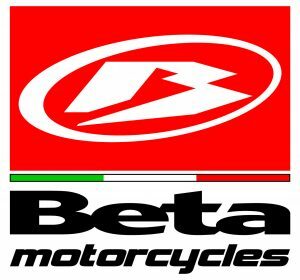 On Friday, Sept 21, 2018 over 25 Vintage Motorcycles in 4 classes took to a special enduro course for the Vintage GP followed by a show and shine of numerous Vintage Bikes. The Corduroy was a hard endure long before “Hard Enduro” was coined as a phrase and next year will be our 65th running of the event. 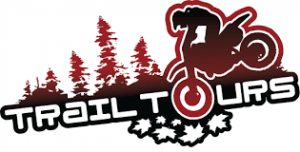 Come on up to Gooderham, Ontario, to test your riding skills through the historic hinterlands of Upper Canada (dates to be announced shortly)! 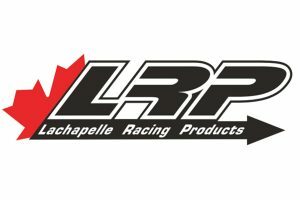 This entry was posted in Info on by .